For the past 16 months, I've been working almost exclusively with Drupal to build websites, and I've got pretty good with it. 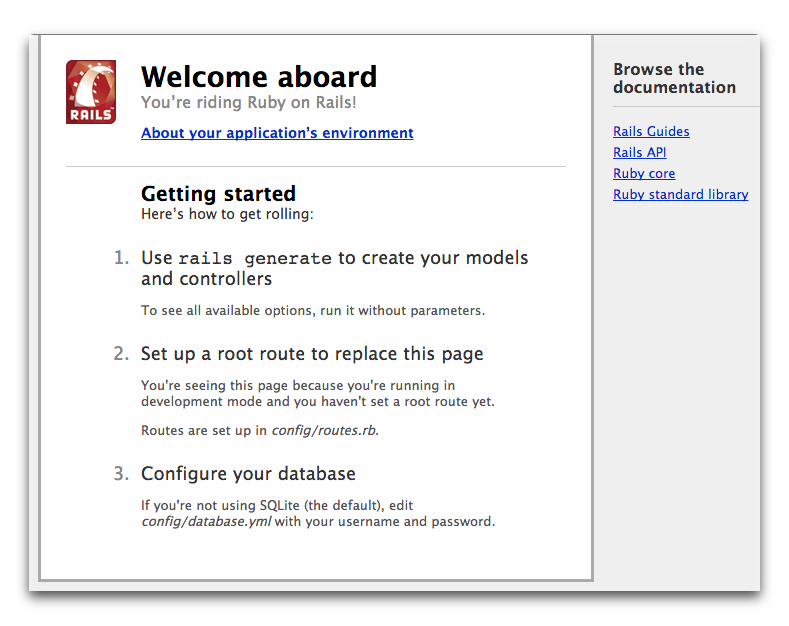 However, I'm always conscious of the old adage that "When the only tool you have is a hammer, everything looks like a nail", so in the interests of expanding my toolbox, I'm taking a look at Ruby on Rails. I'll leave the arguments about whether this a good new tool to add to my toolbox to others - the argument that convinced me is "it will be interesting and good mental exercise, and there could be benefits to my business too.